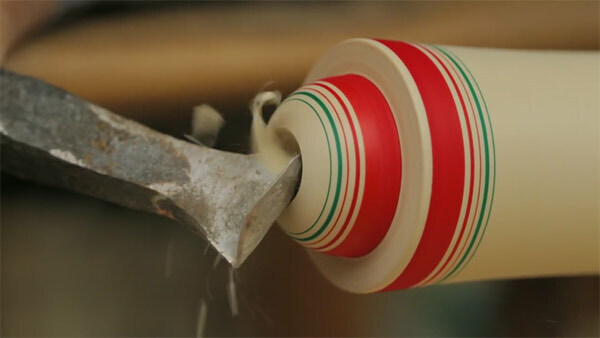 Watch Yasuo Okazaki turn a piece of wood into a beautiful Japanese wood doll, called a kokeshi. Seeing the doll take shape on the lathe, and watching Okazaki bring it to life with precise brush strokes is extremely satisfying. Watch the video below.